In celebration of Cairns Regional Council’s second Understory Film Festival, Screen Queensland (SQ) will present a FREE panel event to stimulate discussion on the value of short filmmaking as a pathway to building a successful career in the screen industry. Being held prior to the commencement of the Understory Film Festival, proudly supported by SQ’s Screen Culture funding program, the SQ Pathways to Filmmaking panellists include: SQ’s Director of Development, Christopher Sharp; award-winning writer/director, Tim Marshall; and North Queensland-based director, cinematographer and editor, Benjamin Southwell. It will be moderated by SQ’s Director of Production Investment, Dan Lake. Location: Botanic Gardens Visitor Centre, Collins Avenue, Cairns QLD 4870. Following the panel presentation we hope you can join us for the Understory Film Festival, a screening event showcasing a selection of short films from students, emerging, independent and professional filmmakers from across Far North Queensland. After intermission, attendees are invited to vote for the People’s Choice Award, which will be included in the award presentation at the end of the evening. Should you have any questions about the Pathways to Filmmaking panel, please visit the Screen Queensland website or contact: screenqld@screenqld.com.au or phone 07 3248 0500. For enquiries regarding the Understory Film Festival, please visit the Cairns Regional Council website. Christopher Sharp, Screen Queensland’s Director of Development, has previously worked as a Development Executive at Screen Australia. While at Screen Australia, Christopher helped to develop many short films through the agency’s Springboard and Short Film Completion initiatives. Including the AACTA award-winning The Last Time I saw Richard, Cannes selected Yardbird, and The Wilding which was selected for the Berlin Film Festival. 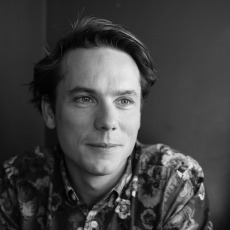 Tim Marshall is an award-winning Queensland writer/director, his short films have screened at numerous notable film festivals the world over including Sundance, SXSW, Palm Springs, Frameline and Outfest. In 2013 his short film, Gorilla won the Iris Prize in the United Kingdom which allowed Tim to make his next short film, Followers based on a short version of his feature-length screenplay of the same name. In 2014, Tim secured a place in the Outfest Screenwriting Lab and he went on to become a semi-finalist in the prestigious Academy Nicholl Fellowship. Tim’s short film, Followers made its world premiere at the 2015 Sundance Film Festival and later screened in competition at this year’s SXSW. 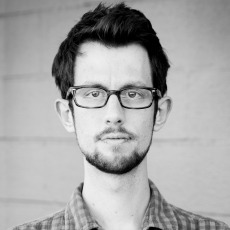 Tim is also the co-curator of a unique filmmaker residency program, The Weight of Mountains and his online series, TORSO recently featured in the Huffington Post. 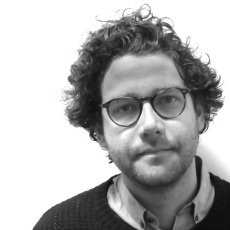 Born in Townsville, director Benjamin Southwell has a cultural background from Darnley Island in the Torres Straits. After graduating from university with a Bachelor’s degree in communications and Indigenous studies, he wrote and directed his first short film, Dead Creek which screened at Vancouver International Film Festival 2010 and Imaginative Film Festival 2011. Since returning to North Queensland in 2014, Ben has created five short broadcast documentaries and directed his second short film, On Stage which premiered at St Kilda Film Festival 2015 and is also screening at this year’s Sydney Film Festival. Ben has also worked as a media coordinator for the Mornington Island Dancers, where he gained valuable experience in documentary filmmaking, digital archiving and event coordination in remote community. His focus is now firmly on directing, editing and cinematography. 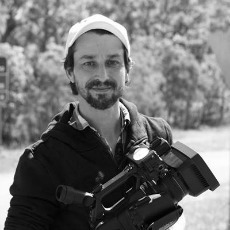 Dan Lake, Screen Queensland’s Director of Production Investment has more than ten years’ experience in the development, financing and production of film, television and factual projects. Dan was producer of the Screen Australia funded short film, Skin, which recently screened at the Brisbane Asia Pacific Film Festival and Flickerfest. Previously Dan worked extensively at Brisbane-based Freshwater Pictures and on multiple TV productions including, The Ellen DeGeneres Show, The Real Housewives of Melbourne and Prank Patrol. His feature credits include comedy Subdivision, feature doco The Burning Season and the soon to be released Early Winter.